I had a wonderful shoot with martial artist and dancer Callisto Utriainen recently. Callisto was visiting Gothenburg, and we decided the opportunity to do a photo session was too good to miss. I asked my friend Petri Olderhvit if he was interested. He was, so we set the shoot up in Studio Olderhvit, that is in Petri's rather large living room. Callisto and I had agreed on a theme for the shoot: Dark, very dark! That did leave a lot of room for creative interpretation. Callisto is no stranger to shiny, sharp objects, i.e. knives and swords. It just so happens, Petri had everything we needed. The shoot went very well. Callisto is great fun to work with, and so is Petri. 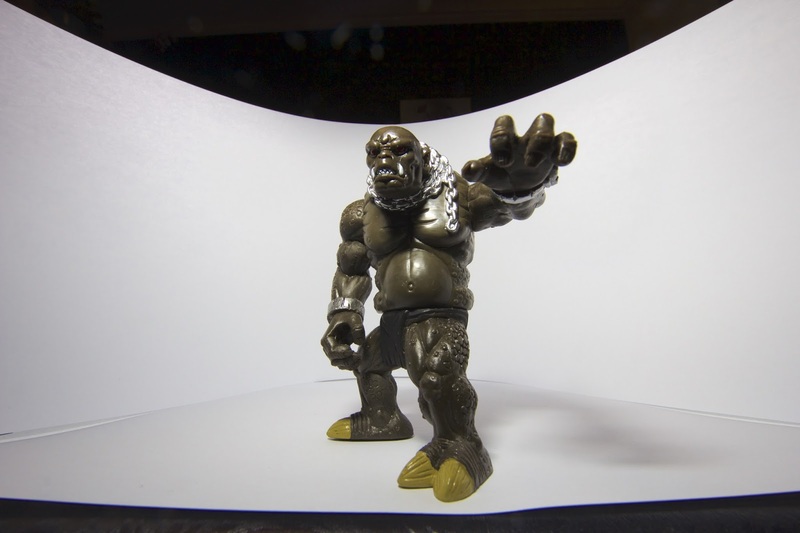 Throg the Troll wanted in on the shoot too. As you might suspect, Tristan the T-Rex and Throg the Troll have got a bit of makeup. 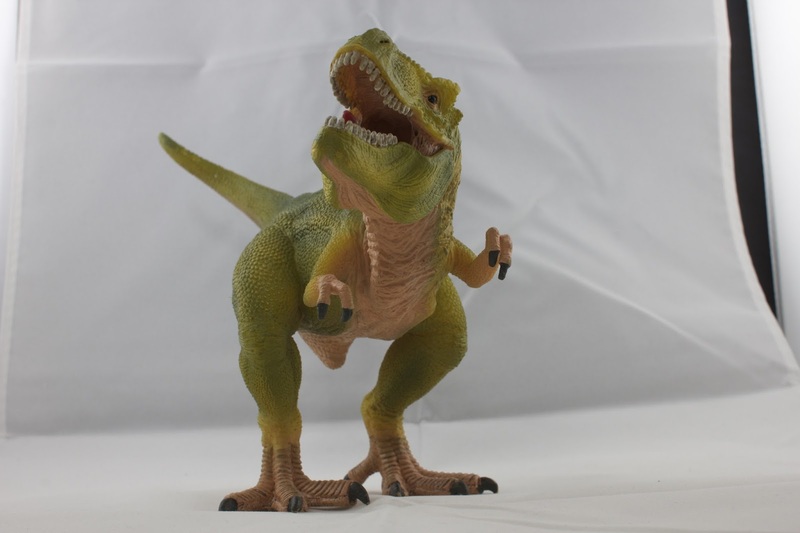 For the T-Rex, I used a very good plastic model from Schlecht. The original skin structure is very good, but it needed to look a bit more organic. 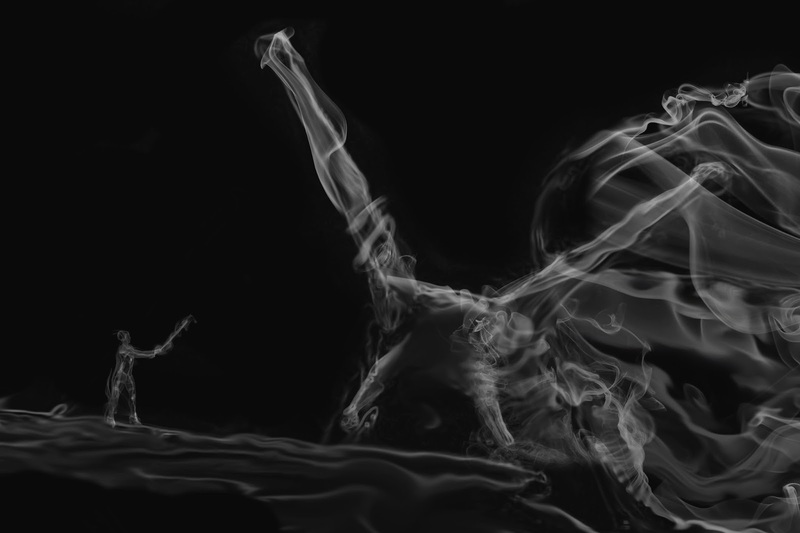 Too accomplish that, I blended in skin from photos of catfish that I had taken for another project. For Throg the Troll, I used a mix of elephant hide, and catfish skin. I also used a photo of some coarse fabric to give his loin cloth some texture. As you can see, the technique works very well. The Throg the Troll doll has much less texture than the T-Rex, so he required more work in post. I'll write a detailed tutorial about how to create pictures like this in a photo book I am working on. I will of course write about the Dream Warrior picture too.